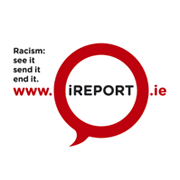 iReport.ie, the new online Racist Incident Recording System, has logged 60 reports detailing racism in less than one month, says anti-racist organisation ENAR Ireland. “This is a significantly higher rate than our previous recording system, and a much higher rate than An Garda Siochana, who recorded just 19 incidents in the first 3 months of 2013” said Shane O’Curry, Director of ENAR Ireland. One report described a case of discrimination and also featured a good example of “bystander solidarity”; a settled woman who had gone out for a pub meal with her husband, described how they had been told to pick any of the empty booths they liked, and how a Traveller family with young children who had taken their own booth just afterwards were asked to leave by a manager, who claimed that the booths had been reserved for a party. The Traveller family challenged the manager on this and left after protesting. The woman and her husband then offered to vacate their booth if, as the manager said, the area had been reserved for a party, only to be reassured by an embarrassed waitress that they didn’t need to. “I understand that management reserve the right to refuse anyone, but that was blatant racism. They were a family with two young kids out for dinner on a Sunday afternoon and they were subjected to that kind of behaviour.” The settled woman and her husband cancelled their order and left as well. 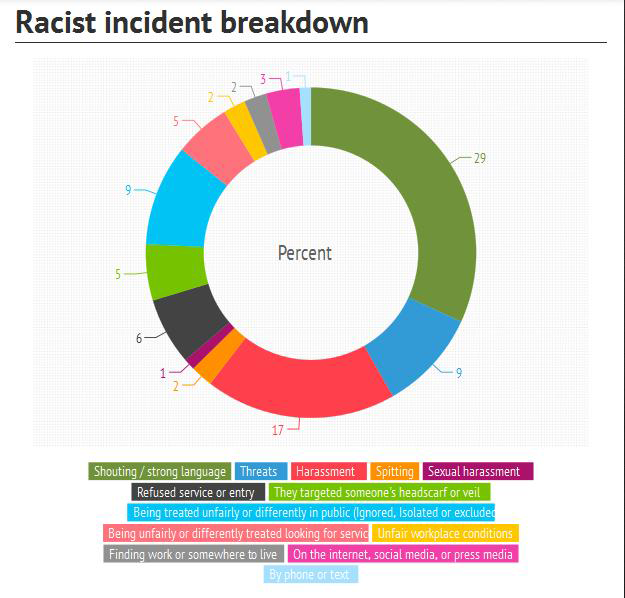 In 46% of the incidents recorded, women and girls were the targets of racism. 25% of the incidents recorded racism against people who are black. In 20% of the incidents recorded, children under 14 were targets. Out of the 5 reports of racism against Muslim women, all 5 were targeted because of their veil. In one case a group of Muslim men wearing their prayer hats were attacked by a gang of men with sticks. 49 % of the reports were made by witnesses or 3rd parties. 68% of these were made by people who were unrelated in any way to the target (s). 89 % of the reports recorded interpersonal, rather than institutional racism.